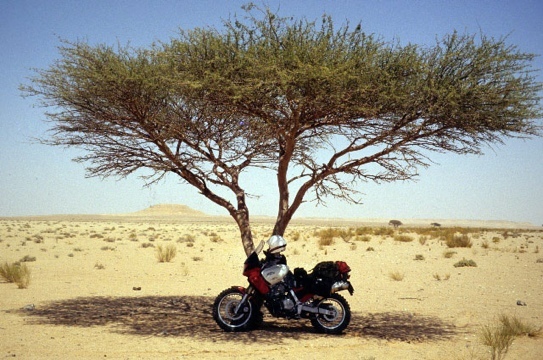 So, we are planning a bike trip from London to Senegal on 2 bikes… Yep, finally decided to go ahead and plan something really big. The preparations and details of the trip will be discussed in another post but here I will report on a bike we tested while exploring which bike to use on the 3000 miles trip. To tell you the truth my mind is set on buying 2 used BMW F650 Funduro. A great, overlooked, dual sport bike which Chris Scott took to the Lybian desert a few years back. If it was good enough for him…It has a very convincing comfort to budget to reliability to ruggedness ratio. We asked BMW Motorrad to test ride the newer model in order to get a sense of the riding position and ergos before buying the Funduros. This is important for both Louise and me; She wants a bike that’s well balanced, not too heavy and easy to manoeuvre. My requirements are comfort, legroom and a bit of wind protection. We tested the new F650GS which is not exactly the newer version of the Funduro; it has a higher seat and one additional cylinder… And 21 more horses. In a few weeks we’ll test ride the G650GS which is a more direct descendant of the Funduro. Saturday 24 March was a fantastic day in London; one of those that lures you into a false belief that summer is here and that it’ll be nothing but sun, barbecues and happiness until September. 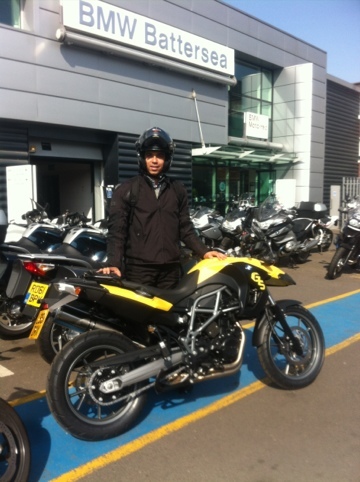 We rode pillion to BMW motorrad in Battersea where Matthew was waiting for us with a beautiful F650GS in black and yellow. After a quick look around the bike and some instruction on how to use all the buttons we were on our way for 2 hours riding around town. Louise was the first to go, with me following on the W650. The first thing Louise said when we met at a traffic light was “this thing is powerful!”. Indeed, the 650 develops 71Bhp which are all accessible at low speeds. In actual fact the F650GS, despite it’s name is actually a 800cc… It’s basically the engine found in the F800GS which has been toned down for whatever reason. Being 172cm, Louise did find the 82cm seat height a bit high for her. This being a tall bike with a high Center of gravity, it’s important to be able to put both feet flat on the ground. After an hours ride it was my turn to have fun on the BMW, and, well, in three words, I was impressed! Very impressed actually. I found the tall riding position extremely comfortable, giving me a sense of total control over the bike and a great view of what was around me… it allowed me to see past the car in front of me which is great. Though the saddle is a little hard, I think I could last a couple of hours on it before needing to dismount. 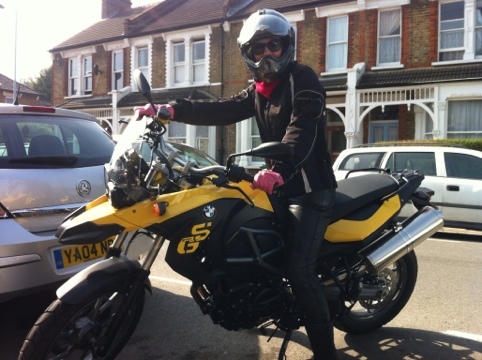 The feel of the bike under me reminded me strongly of the R1200GS which I rode in South Africa. One immediately recognises the built quality which characterises the German make. 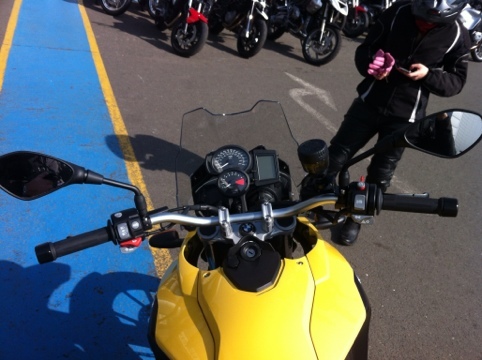 We were both impressed by the F650GS. I think that it would make a great everyday bike that can be taken on a long tour around Europe (in the summer) and could certainly tackle many African gravel tracks. We’ll be back at BMW Motorrad in a few weeks to try out the G650GS. It’s the single cylinder “baby” BMW. It has a seat height of 78cm which will be great for Louise. I will be testing the G650GS Dakar which is taller. They both do 70mpg, compared with 55mpg for their twin cylinder sister which would be a great advantage in far away places like the western Sahara where petrol stations are few and far between.